". The first few results for the do not disappoint.faces in objectsGoogle Image Search for "
To really know what happens on your website or web application, you need a way to get at that nuance. And that's where the second approach comes in—the qualitative. Qualitative analysis focuses on the subjective qualities of your users—the nuanced actions that drive the numbers. It's descriptive research. The qualitative approach is subjective, too . The user paused here. Raged there. They seem confused with this UI—what's going on? Qualitative data is messy. But it is rich in insights. Quantitative data alerts you to problems. Start here. 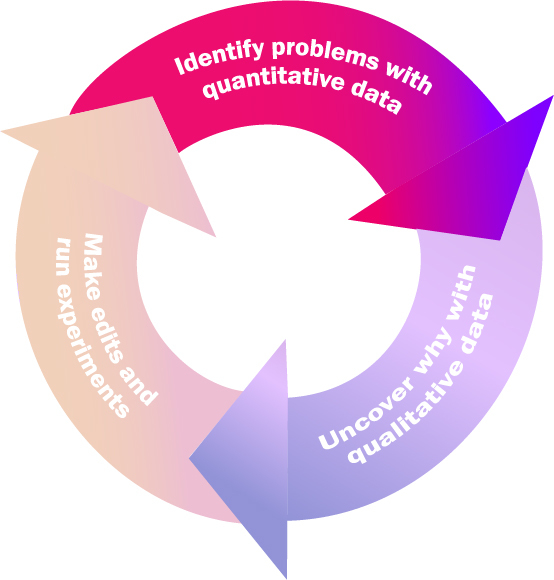 The Quantitative-Qualitative Flywheel starts with identifying problems through quantitative analysis. Once you have a quantitative tool tracking your customer data, you can quickly be dazzled by the illusion of insights. Fight the tendency to be hypnotized by the show. Come at your newfound quantitative data powers with an objective. Otherwise, you can easily be overwhelmed. Qualitative data gives you the why. Qualitative data can provide you with a firehose of nuanced information about individual user behaviors. It's the most dense level of data, and it's what you get through session replay. Using a qualitative analytics tool, you can see how individual users interact with your product. 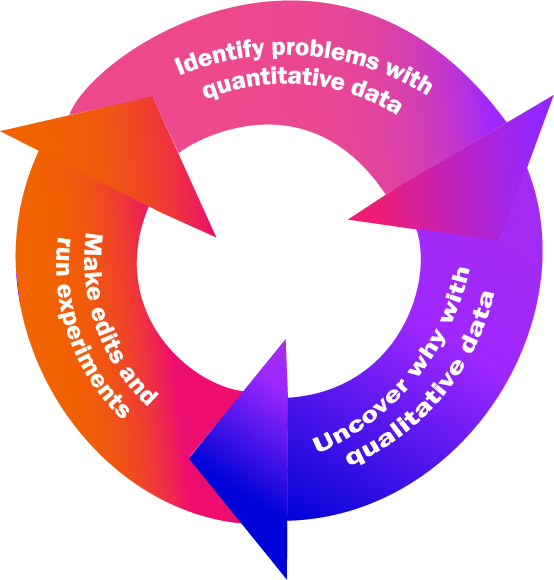 ‍The second step in the Quantitative-Qualitative Flywheel is to use qualitative analysis to understand behaviors at the individual level. How does it work? 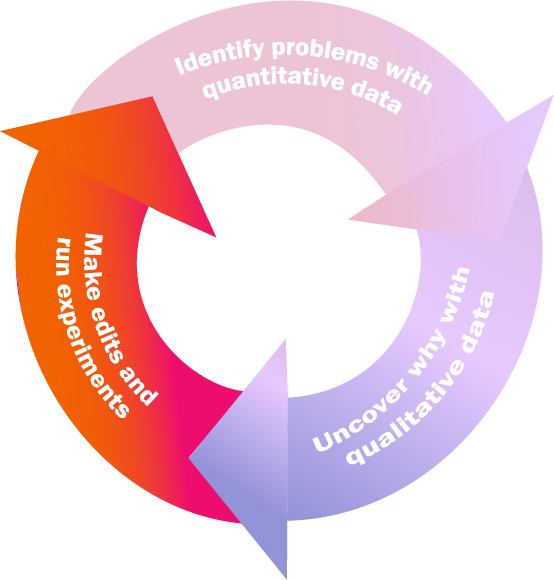 How do you go from quantitative data to qualitative research? Using a tool like FullStory, you can search the entire catalog of user behaviors on your site for just those that would affect whatever quantitative data you're researching. Experiment and check for improvements. 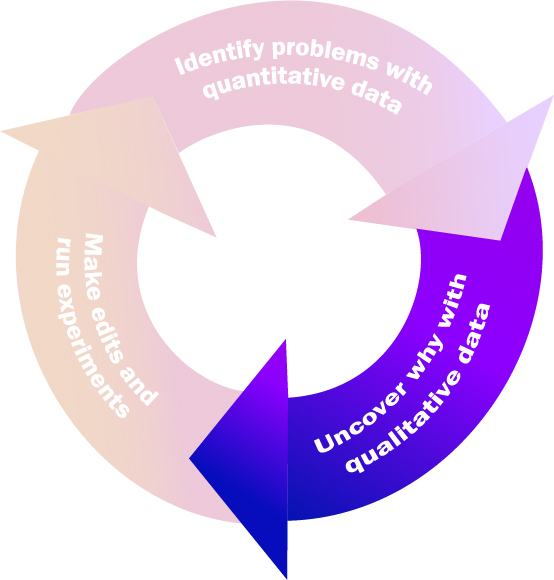 Once you thoroughly understand the problem through quantitative and qualitative analysis, make the needed edits or run experiments. Note: This article was originally published on FullStory's blog.